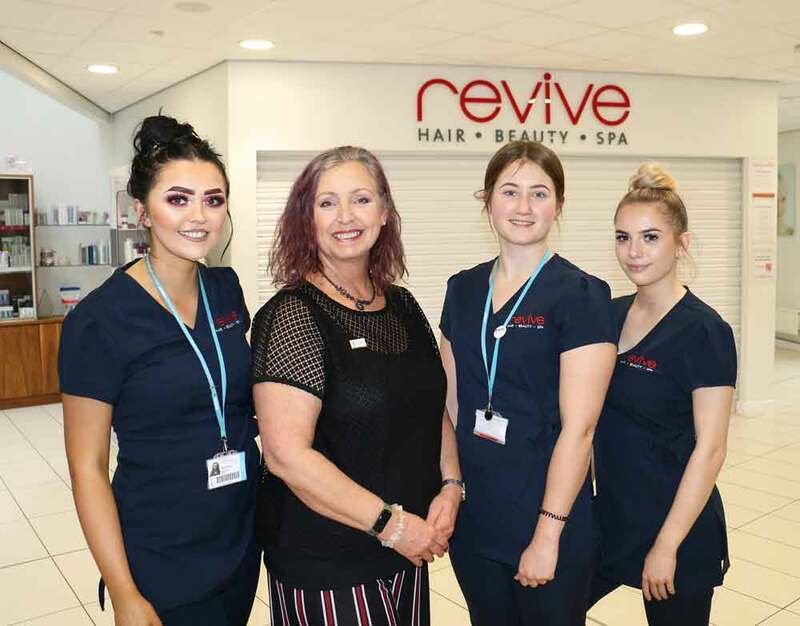 A former beauty therapy student from West Nottinghamshire College has visited current learners – giving them an insight into the holistic side of the industry. Louise Summerscales, who completed the Level 3 Spa Therapy Diploma in 2012, returned to the college this month to assess a practical-led session which involved students giving her a professional detox body wrap. Louise offered her professional feedback to the group who are all studying the same Level 3 Spa Therapy Diploma. She also delivered a presentation about her role as regional ambassador for the Federation of Holistic Therapists (FHT) which is a professional association for therapists in the UK. The federation has thousands of members who offer a broad range of specialisms from sports and remedial therapies to complementary healthcare and holistic treatments. Louise detailed her journey as a new mother to a baby boy with the condition called talipes – better known as club foot. Using her massage therapy techniques she was able to stave off three additional operations on her son Max, which enabled him to walk more naturally. She had just started an aromatherapy course, found an old method for club feet and massaging children with these disabilities. She spoke to her aromatherapy tutor about it and after talking with her GP, she began the massage on her son and this is when she discovered the benefits of her holistic work on Max and her love of therapies began. Louise also works as a baby and infant massage instructor through her business called Body In Balance, which offers a broad range of holistic treatments.